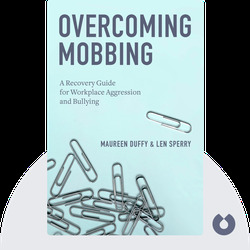 Overcoming Mobbing (2014) offers a practical guide to the problem of “mobbing” in the workplace. 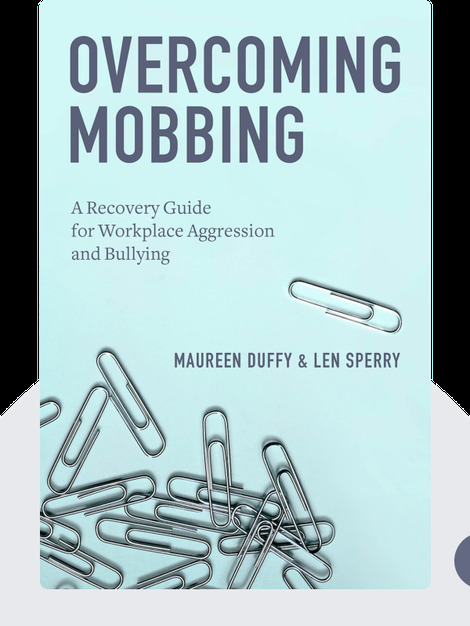 Based on clinical practice and research, it offers valuable insights into the conditions that allow for workplace mobbing, and gives tips on how victims of mobbing can best recover. Maureen Duffy is a therapist and expert in workplace mobbing and bullying, and an affiliate with Qualitative Research Graduate Program at Nova Southeastern University. She also co-wrote the book Mobbing: Causes, Consequences and Solutions. Len Sperry is Professor of Mental Health Counseling at Florida Atlantic University, and works as a consultant for various businesses on the prevention of mobbing in the workplace.